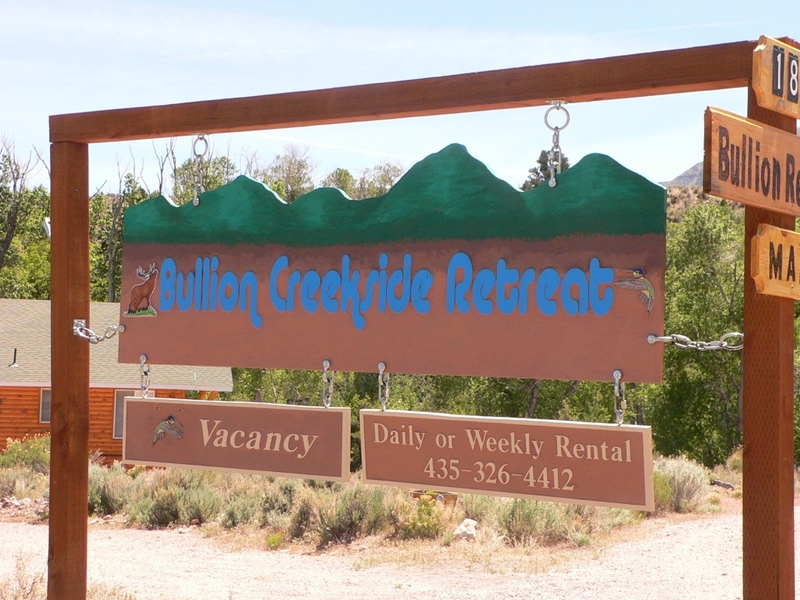 This family reunion resort is located on 7.5 acres in beautiful Bullion Canyon near Marysvale Utah on the Paiute ATV Trail in south central Utah. It is ideal for family reunions as it has many lodging options and plenty of safe activities to keep all ages happy for days. 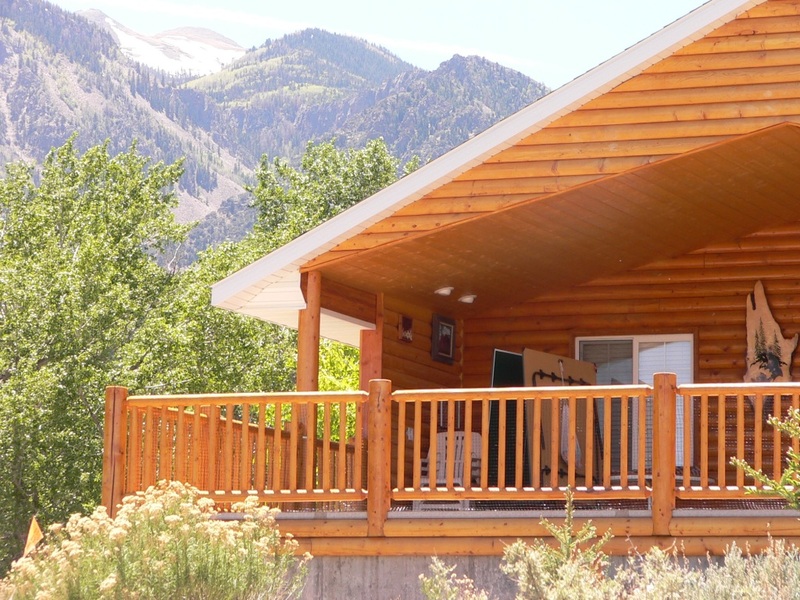 There is a large premium fully equipped vacation cabin (many customers say it is the best in the area), 2-3 RV spaces with full-hookups, an fully-equipped RV trailer rental, and tenting areas on the large cabin decks, or by the creek. There are many activities to do right on the retreat and well as nearby. The playground is very entertaining for younger kids. the woods have several forts, the retreat loop road is excellent for kids to safely ride bicycles. Teenagers and adults have the foosball, tetherball, horseshoes, and the creek to build dams. There are shady outdoor tables for crafts, and shady family conversation areas for adults with chairs and benches. The jacuzzi is also great place to convene. 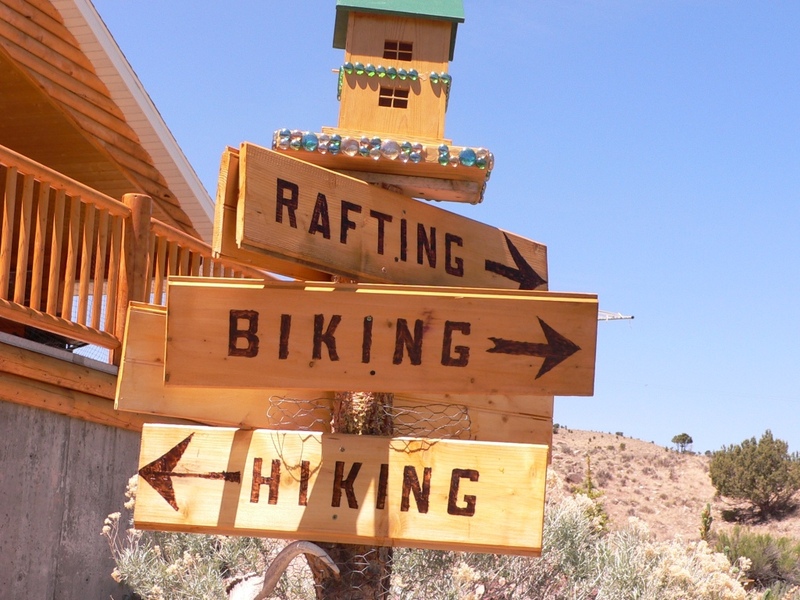 Nearby family reunion activities include the world famous Paiute Trail which takes off from the retreat in all directions for quads, motorcycles, and high clearance vehicles. 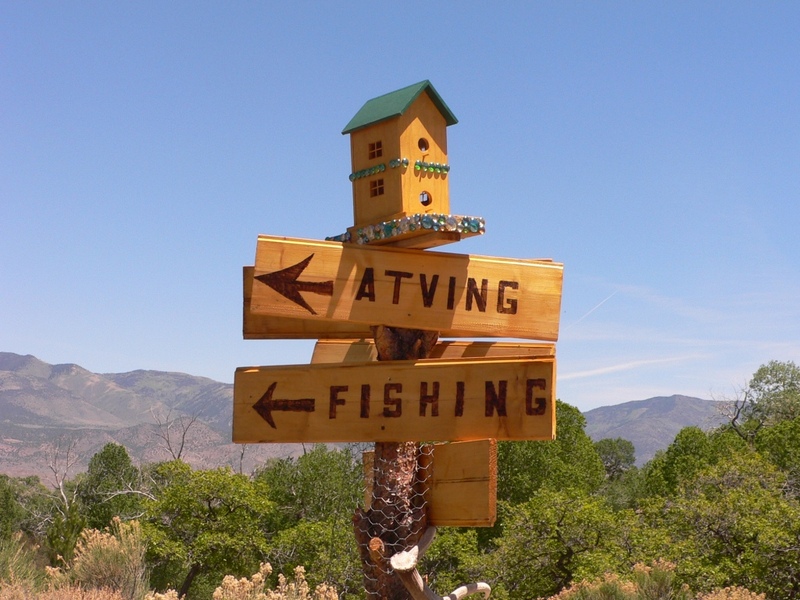 There is fishing, rafting, rapelling, tubing, horseback riding, hiking, bicycling, shopping, wild flowers, wild bird and animal photography, and national parks nearby. The retreat lies at the foot of the spectacular 12000+ ft. Tushar mountains which provide spectacular views from the retreat. 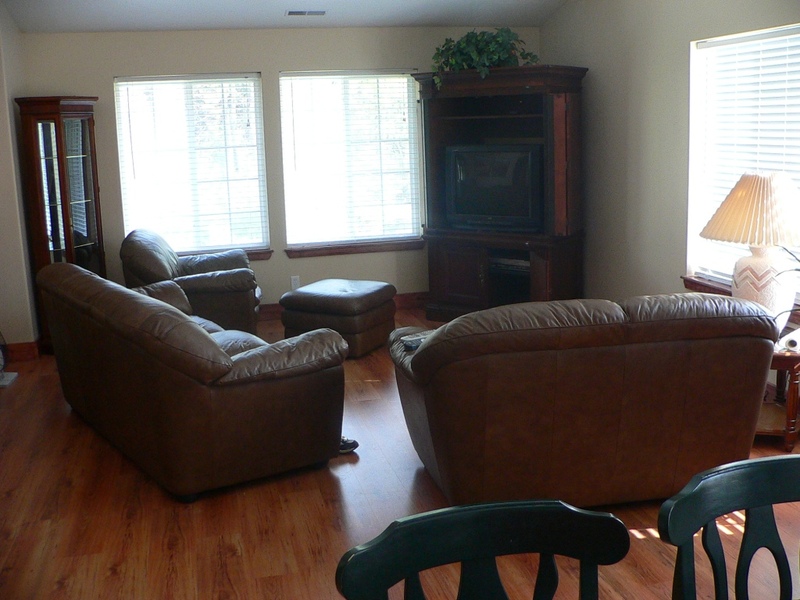 (1) Rent the large, beautifully, furnished vacation home for your family reunion group. The cabin sleeps 8-13 on mattresses with additional tent sleeping areas on the rear large deck, by the playground or by the creek. The cabin has 3 bedrooms, 2 bathrooms, fully-equipped ranch style kitchen, two satellite TVs, WIFI, 2 propane grills, 2 full large view decks. 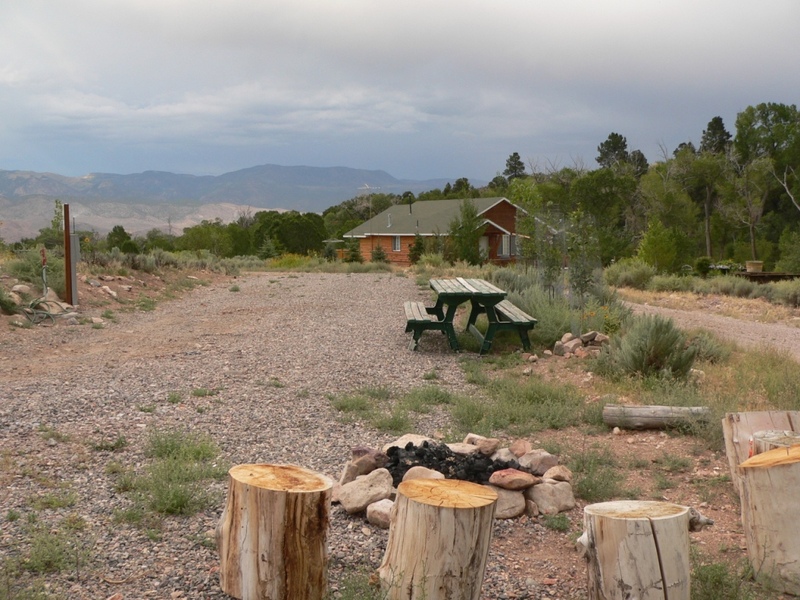 When you rent the cabin you get access to the office porch area, outdoor fireplace and picnic area, playground, creek, meadow, and forest area. (2) Rent additional RV spaces (up to 3 full-hookups) for families that have their own RV. (3) Rent the whole resort (all 3 options above included) exclusively for your family reunion. Additional RV Camping for multi-family or small groups - The retreat includes 2 deluxe Recreation Vehicle lots and an additional RV rental that includes sewer, water, and electricity (20,30, and 50 amp sockets) hookups. These lots are situated at the far end of the retreat away from the cabin so there is no interaction between cabin renters and RV Lot renters unless they want. These lots include plenty of extra parking for your cars, trucks, trailers, and toys. Many of you have asked for this capability in the past so you could have your RV friends nearer than the crowded parks downtown. 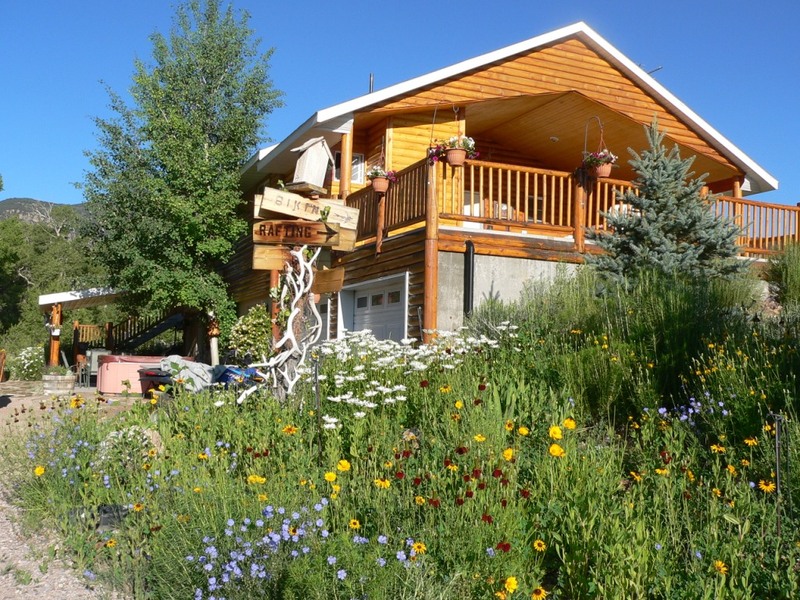 These lots include the same fantastic view of the Tushar and Monroe Mountains as well as the creek meadows and forest. 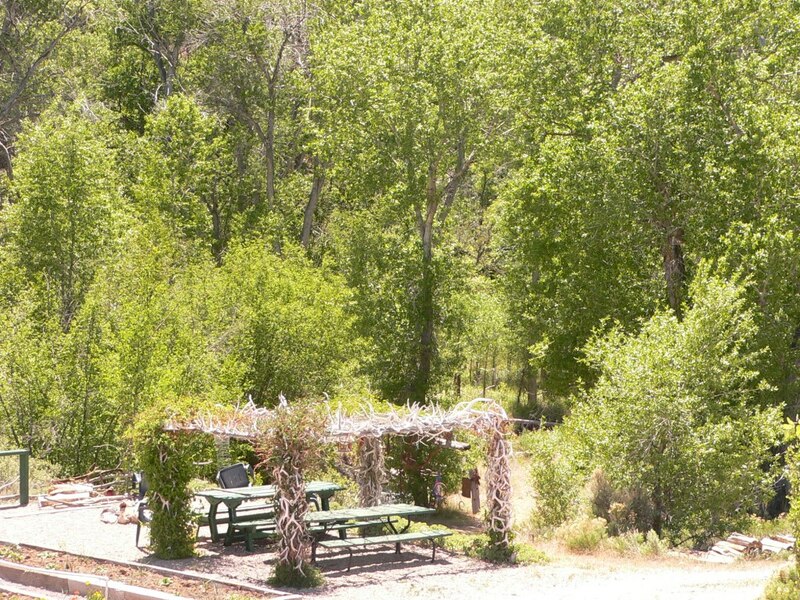 Most of the outdoor amenities are included with the RV camping including the playground, private picnic tables, private campfire areas, horseshoes as well as the creek and meadows. 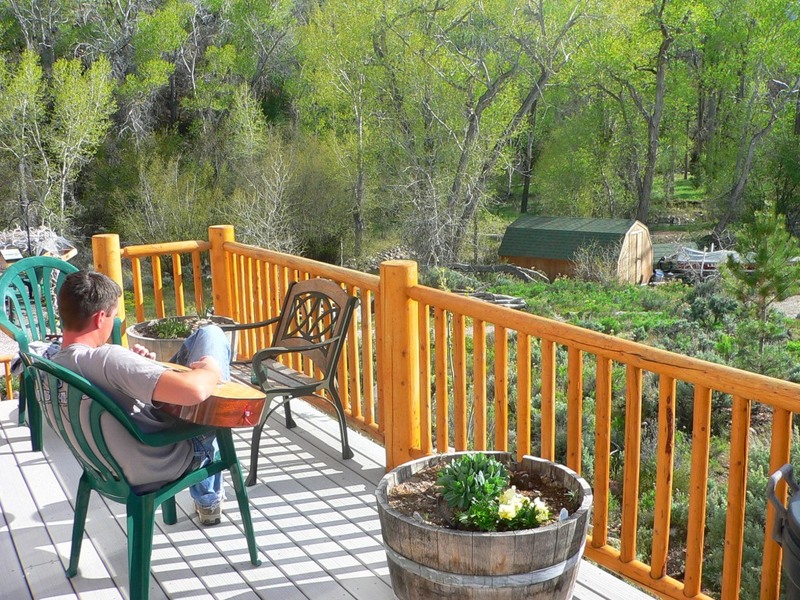 Access to the cabin hot tub is limited to the cabin group and their RV park friends. Other Outdoor amenities include 960 sq. ft. of view decks with outdoor furniture and gas grill. There is an outdoor picnic table, fire pit with firewood, Dutch oven facilities, and a great playground with tetherball, foosball, sandbox, horseshoes, forest playhouse, kid rappelling, swings and slide. 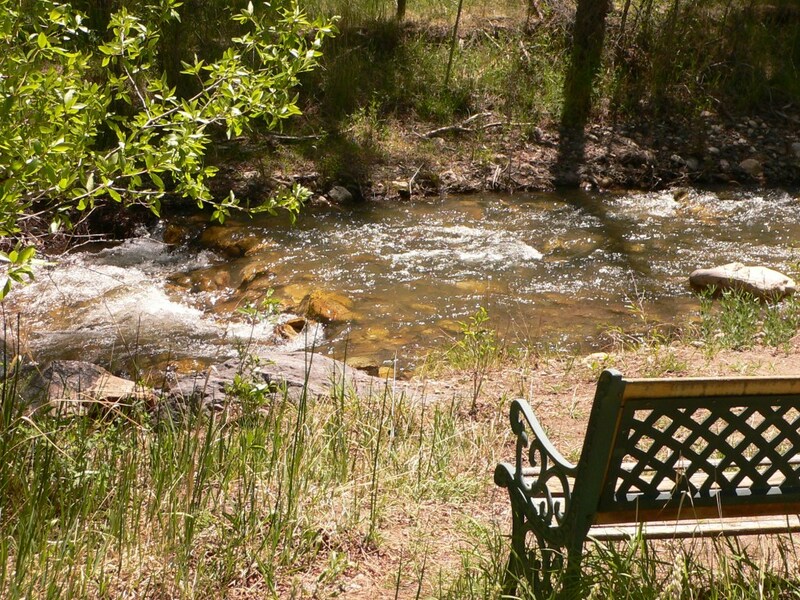 There is a comfortable hammock and bench for relaxing by the creek and meadow. 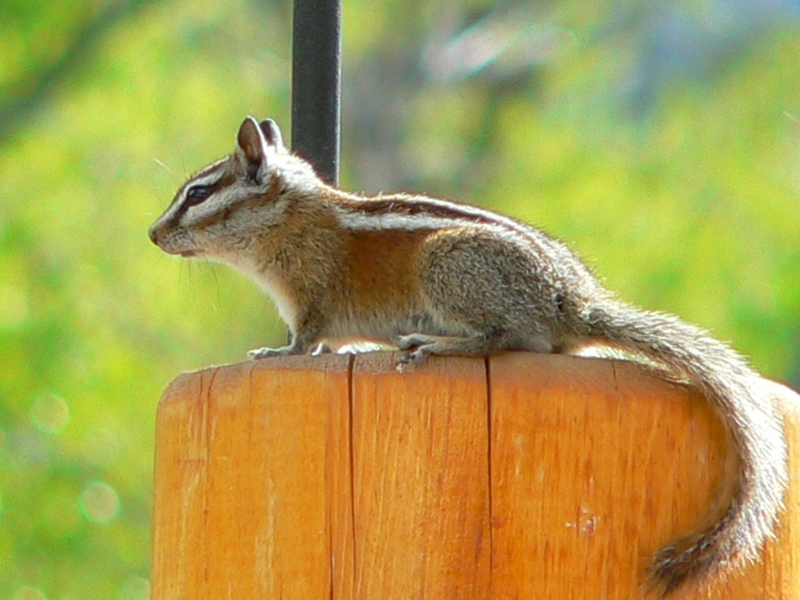 We keep three birdfeeders stocked on the west deck which keeps a steady group of humming birds, native song birds, chipmunks, and squirrels nearby to entertain you. 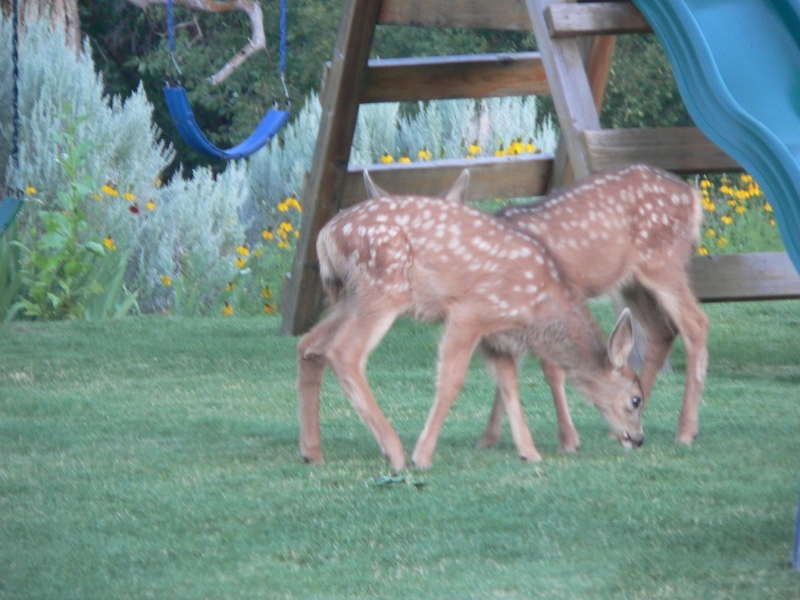 Wild mule deer and turkeys often frequent the property early mornings and evenings. We have daypacks and winter snowshoes for your free use. There is 735 square foot private horse corral for horse-lovers to bring their own horse to ride some of the excellent horse trails in the area. 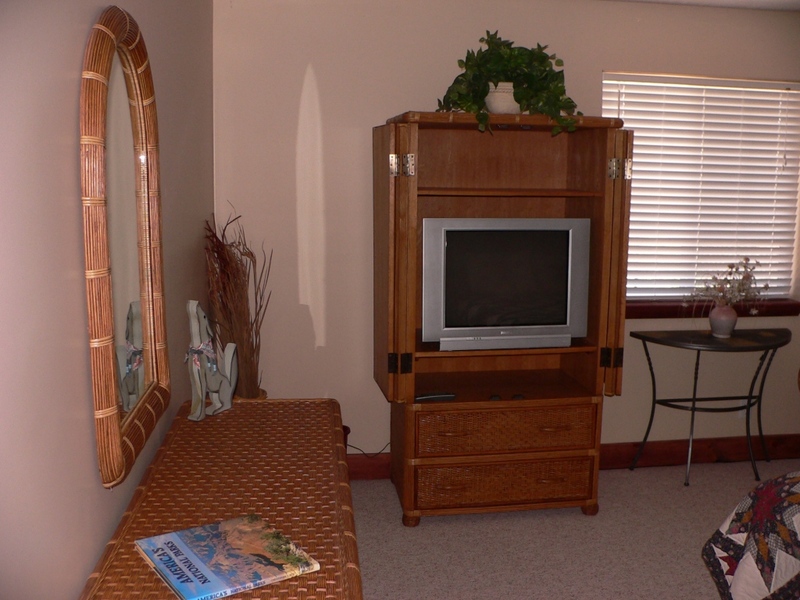 There is a large living area with large satellite TV with full Dish Network subscription (movies included) with DVR, amplified audio system with very large speakers, and DVD\VCR\CD (there is a separate satellite subscription on the master bedroom TV). The living room also features western décor with quality and comfortable leather furniture and a full-mount real cougar that lies on a ledge in the vaulted ceiling with spotlights. 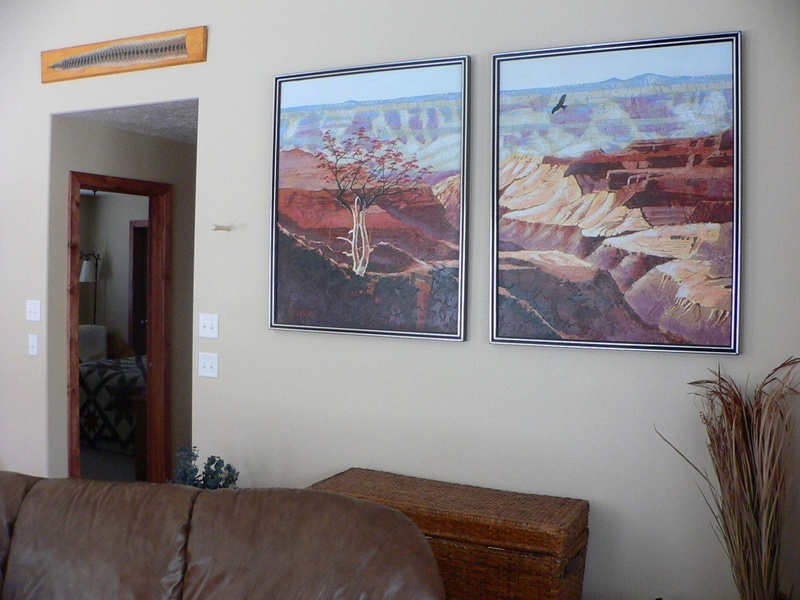 Two large original oil paintings of canyon country decorate one wall. The hall is decorated with original dure pietre mosaic gem pictures of native birds. There are also two large relief maps of the Paiute Trail area in the hallway. You can also connect your laptop to the internet via our wireless network. You are also welcome to use our office computer to access your email or light browsing. We have remembered everything so you don’t have to. 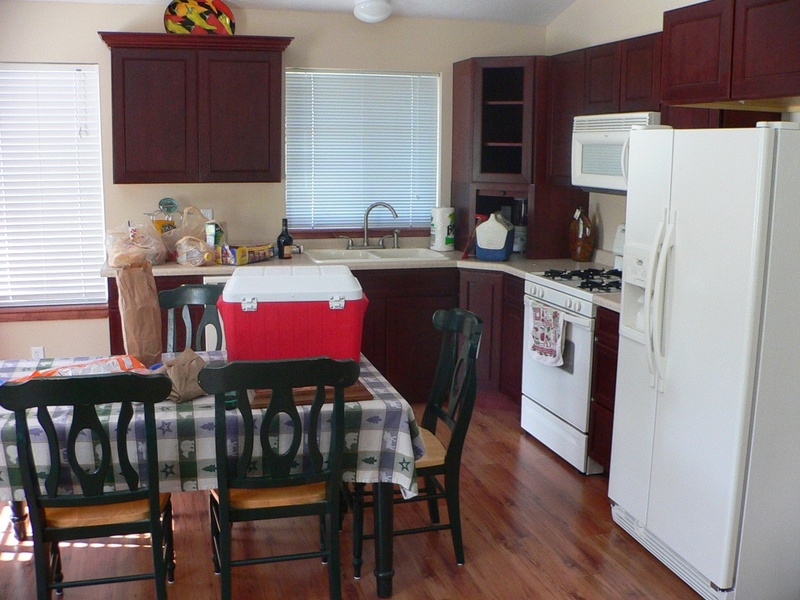 The cabin has a modern kitchen with a full dining table with 8 chairs , extra chairs on the decks, quality large fridge with large freezing compartment, icemaker, and cold water dispenser. The kitchen has a large oven, dishwasher, large microwave, automatic coffee maker, toaster, frying pans, large griddle, crock pot, cooking pots, electric hand mixer, iron, blender, dishes, glasses, mugs, wine glasses, knives and silverware. There is enough settings for a large group and more available from the hosts if needed. In addition to to oversize kitchen cabinets, there is an extra pantry cabinet to stow-away your food for longer stays. Paper towels, dishwasher soap and garbage bags are provided. There is also a small ironing board and iron. There is a propane grill with reserve propane tank on the west deck just outside the kitchen door. There is also a second larger grill under the guest patio area if needed. Dutch ovens are available for use by the fire pits if needed. If we don’t have it . . . you probably don’t need it . . . Or we’ll get it. · The Playground features a toddler apparatus with sandbox as well as swings and slide, kid rappelling, and forest clubhouse for children. There is a tether-ball, bocce, and horseshoes for older kids. The really big kids have their own fun in the Jacuzzi hot-tub under the stars. There is a comfortable secluded hammock and bench in the shade by the gurgling creek. 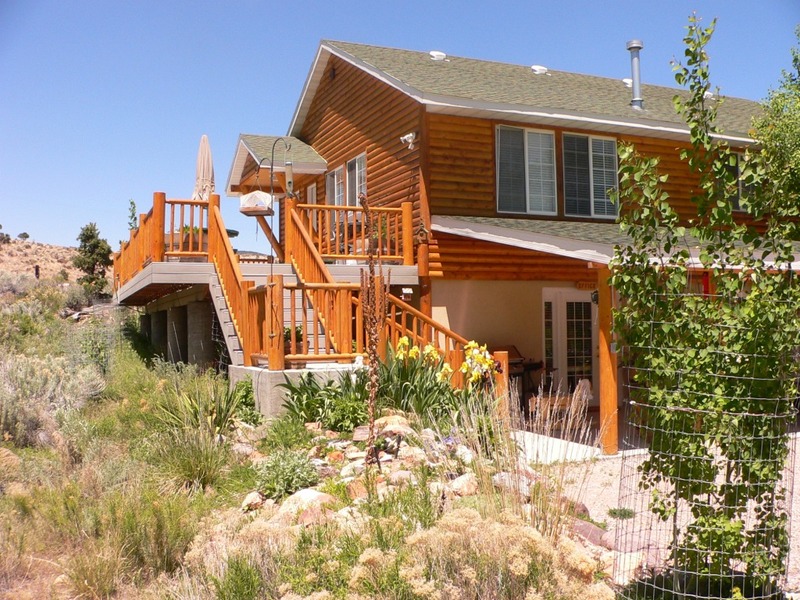 · The retreat has a small spring pond and about 700 private feet of Pine Creek which flows through the property with grassy meadows and woods surrounding it. There are little waterfalls, private shady meadows, trails and sand bars for the your enjoyment. 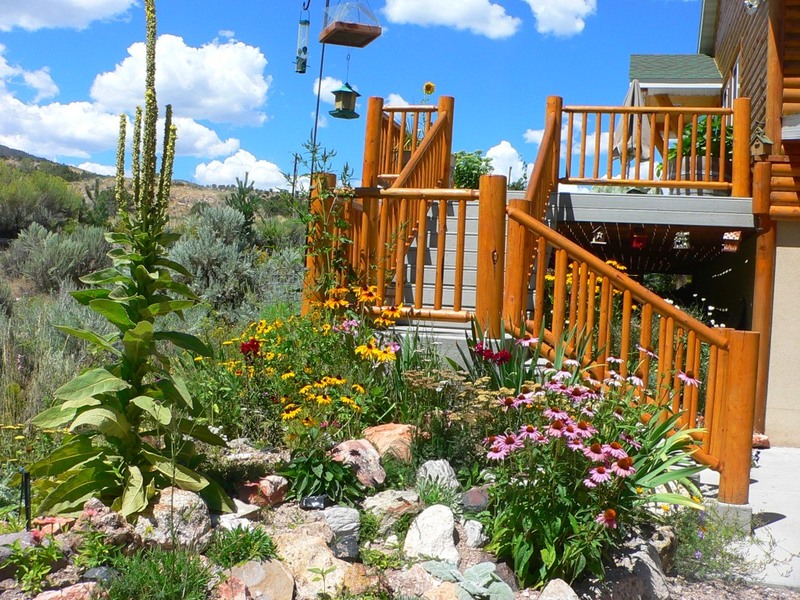 Wild turkeys, mule deer, squirrels, chipmunks, humming birds, cutthroat and brown trout and plenty of native birds are often on the property. · There are outdoor picnic tables under a canopy of deer, elk, and moose antler-sheds. You are welcome to invite your friends that might be staying elsewhere over for a barbeque or to enjoy the retreat. There is also a large fireplace with benches round-about for fireside fun (free unlimited cut firewood for the cabin). Free Dutch oven facilities are available on request. There is a gas grill and outdoor furniture on the view deck. 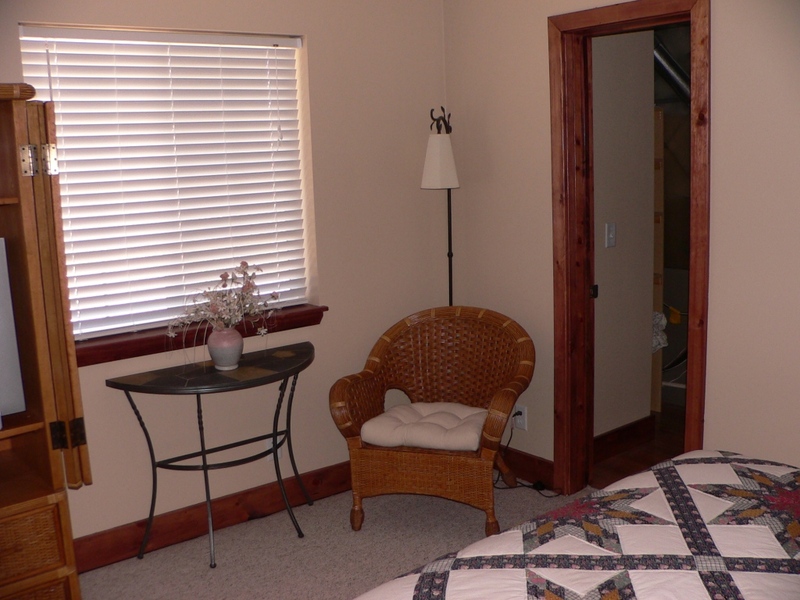 · Bryan and Ana usually stay in a small basement office at the retreat so to clean and care for the retreat, provide security, and recreational information to retreat guests. The office was part of the original retreat design with a heavy sound insulated cement barrier so we don’t hear you and you don’t hear us. The office has a separate entrance and parking on opposite sides of the retreat facility. We always take a fun-loving and open-minded approach to always put the retreat guests’ privacy and comfort as first priority. The Jacuzzi, playground, and outdoor fireplace are occasionally used by Bryan and Ana and their friends. Although Bryan and Ana spend a lot of time on their own outdoor excursions, they will try to be present at your check-in to introduce you to the retreat facilities and help you plan your recreational activities during your stay in the area. If we can’t be there when you arrive, we will leave the cabin open for you and we’ll take care of check-in paperwork later. -> Many locations around the valley have poor or no cell phone reception, however from our high view area, most cell phones get 2 or 3 bars from our cabin deck . -> No highway 89 truck noise to keep you awake at night !